All major credit cards are accepted, as well as cash and check, of course. All personal checks must be cleared before payment will be credited to the client’s account. We currently utilize online payments via Square, and are working on allowing phone and online payment processing in the near future. Check back soon! Until then, just let me know, and I’ll email you an invoice to pay online anytime! Can I Get Copies of My File? Generally speaking, NLO maintains copies of files for ten (10) years after the conclusion of the case. Some cases in specific areas of law require longer retention. Our firm has a file retention and destruction policy which will be provided to you when you retain us. In most cases, if you need a copy of your file, you may request an electronic copy at any time. You will then be able to download whatever documents are needed, but access to your file may be for only a limited time to ensure the security of our computing and software systems. Hard copies of files are not provided at this time, due to cost prohibitiveness (and TREES). Can I Have Someone Else Pay? Generally, yes, I’ll take their money and use it just as if it were your own… But, in order to accept third-party payment on a case, I require the payer and the client to sign a form acknowledging they don’t get to direct the case, only the client does, and confidentiality applies to the client, not to the payer. Most people don’t have a problem with this. But if this is an issue, we can discuss how to address it and the reasons behind it. How Do I Get In Touch Once I Hire You? NLO is a virtual law firm operating in a paperless manner. You can always use snail mail, but aside from limited pleadings that are required to be sent to you via USPS, most of our correspondence will be over the phone, via email, via text, or in person. Regular office hours are not maintained since there is only of me! I may be in court, or working from one of our four offices. MEetings must be scheduled in advance due to the busy calendar. 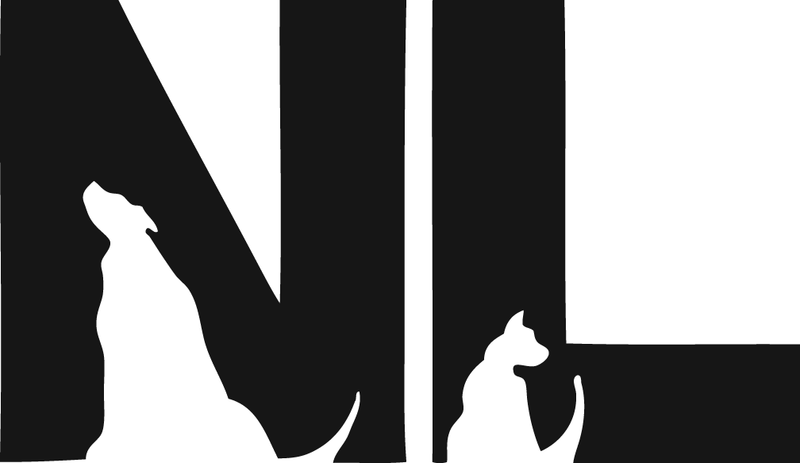 NLO is unavailable on weekends, holidays, and after-hours, generally speaking. Emergencies for existing clients are dealt with as soon as practicable. Please do not leave multiple messages to avoid duplication of work. We generally try to update all our clients every month (if not more often) even if the update is, “there is no update.” When you sign a contract for representation with NLO, we will provide you with all of our firm’s policies regarding communication so we’re always on the same page! Can We Use Skype or Video Conference About My Case? We now offer Zoom conferencing, with screenshare capabilities, so we can meet virtually anywhere you’d like. You just need access to a computer, tablet, or a smartphone. If Zoom is of interest to you, reach out to us anytime to set a conference up at NicolLawOfficesScheduling.as.me/ and select a Zoom type appointment. I have a number of different venues available to meet with clients and I take cases throughout Northeastern Colorado. Please see the map on our Contact Justie page to confirm we cover your geographic area. If you are hoping to get help with sealing a case, I do offer that assistance state-wide, as in-person court hearings are very limited in such proceedings. Do You Do Family Law? And Can You Draft a Will for Me? Will You Review a Real Estate Sales Contract? There are a number of different types of lawyers. Some, who think they can be an expert in everything at all times, may advertise themselves as “general practice” attorneys. This. Is. Not. Me. I do not handle divorces. I know very little about family law and would only do you a disservice. I also do not practice Trusts and Estates, and so cannot help you with a Power of Attorney, Will, or Estate Plan. Although I am a licensed Real Estate Broker, I no longer accept Real Estate cases due to the limited amount of availability that I have to devote to such cases. I have found that most Real Estate clients would be better off with an attorney specializing in that area of law, or consulting a broker. If you are contacting us for help with one of these kinds of things, I likely cannot help you. Check the Practice Areas page to be sure. But that doesn’t mean you can’t reach out! I went to law school in Colorado and have an extensive network of professional contacts. I may be able to refer you to someone who can help. For more info about the types of cases we can help you with, just give us a call. Or check out the Practice Areas page. What kind of animal law are we talkin’ about? However, if you are hoping to get custody of your pet back from an ex, that type of case is outside of our practice areas and you should consult with a replevin, civil litigaiton, or domestic relations attorney (in event of marriage/divorce). Similarly, if you want to sue a vet for veterinary malpractice, that is not an area of law that we can assist you with and you should look for a civil litigation attorney. Beware, pets are property in Colorado and most attorneys do not take vet malpractice cases due to limited damages awards. You may try searching for a lawyer on the CBA’s Find a Lawyer website (http://www.cobar.org/Find-a-lawyer). Do you handle real estate matters? At this time, we are scaling back our real estate area of practice. Ultimately, most real estate clients would probably be better served with a good broker. Justie is a licensed real estate broker, but works almost exclusively in a closely-held, family, commercial property management business. If you are interested in a consult for commercial leasing (either as a landlord or tenant), you may certainly contact me. All other areas of real estate law are no longer being offered to law firm clients. This includes sales of residential property, deed preparation, title searches, etc. For real estate law, I would recommend Jeffrey Cullers at Herms & Herrera in Fort Collins (https://www.hhlawoffice.com/our-team/jeffrey-b-cullers/), as an alternative, or Samuel Kornfeld, whom you can contact at samuel.kornfeld@gmail.com. You may always find representation by searching for a lawyer on the CBA’s Find a Lawyer website (http://www.cobar.org/Find-a-lawyer). Good luck! Yes. Justie caters to students with offices right across the street from CSU, offering flexible payment plans. We do a free 30-minute consultation, at the end of which you get the quote for what it will cost to retain Justie as your attorney. These are almost always done via phone, but we also offer Zoom video conferencing for clients who wish to meet online virtually prior to court. It depends, but I do my best to accommodate people who aren’t made of money (if you ARE made of money, please hire me). Students and Vets always get discounts. NLO offers flexible payment plans over the life of your case in most instances and keeps overhead low to keep costs down — resulting in lower fees to clients. I quote all new criminal cases on a flat-rate basis, so you’ll know exactly what to expect in terms of cost by the end of our initial phone conference. Additional costs can apply (filing fees, mileage, etc.). Also, in some instances, an hourly rate may be quoted for specific types of cases (post-conviction work, mostly). No two cases and no two clients are the same. I tailor fees and fee structures to the case and the client’s unique circumstances.